About a month ago I had an adorable little boy. I was a bit frantic of how I would be able to manage (mainly remember) to change not one but one but two kids diapers throughout the day. The first couple of days after bringing our newborn home, I was in Newborn Mommy Mode and kind of forgot to change my 2 year old’s diaper. I picked her up to realize that her pants were completely soaked. I felt like a bad mom not remembering to change her diaper. I had to find a diaper that wouldn’t leak for my daughter and that would be comfortable for her as well. She also has had problems with her diapers not being comfy for her. She takes her diapers off if she doesn’t have a onsie on. She is constantly tugging at her diaper. I figured it was from discomfort of the diaper. Meet my almost 2 year old daughter. She is a wiggly, wobbly, and adventurous girl. 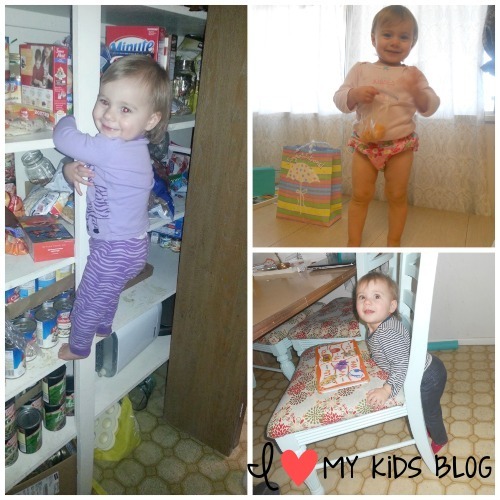 She is always on the move and thanks to Huggies Little Mover’s Diapers she is on the move in comfort!! 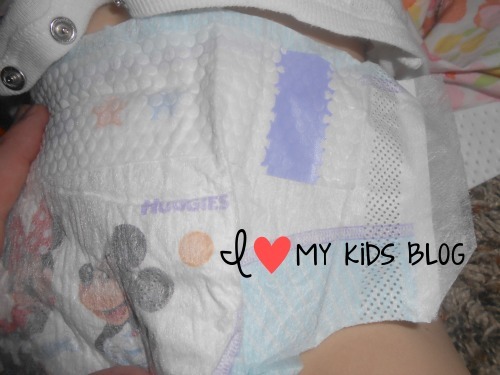 To be quite honest I loved Huggies all the way up until my daughter started leaking out of them all the time. We switched to a different brand which satisfied us. The brand we use to use for our daughter is starting to give her constant rashes. Now that I know about Huggies Little Mover’s, these will be our number one diaper choice. 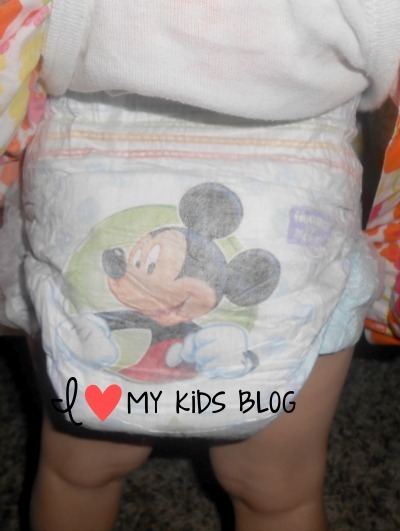 They really are a great diaper and perfect for kids who are ALWAYS on the move! I went to Target to get the diapers and they had all the sizes in the big boxes, but I just wanted to buy a package to try them out. The Target I went to didn’t have size 5 diapers in the packages so I had to go to a different one. I’m sure if I would have asked about the diapers they would have had them in stock. But I didn’t ask. I got my daughter the size 5 for Huggies Little Movers and they fit great! 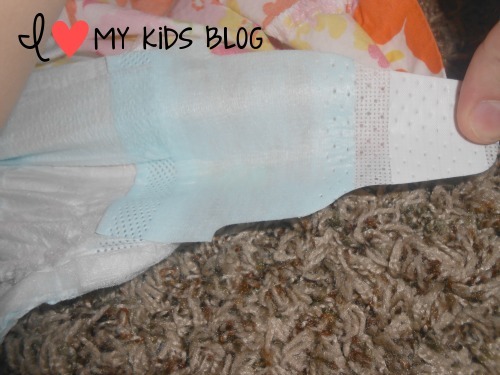 I was very impressed with how much the diaper hold and how different they are even from the normal Huggies diapers. A great and awesome feature these diapers have are their Double Grip Strips. The double grip strip is the purple scratchy strip almost like velcro on each side. (Top picture) The reason for these are the for more comfort. You don’t have to pull the straps very tight with these double grip strips because the velcro holds the strap in better place. Like all diapers, they have the stretchy sides making the diaper even more comfortable. Target is offering something great and you should enter! 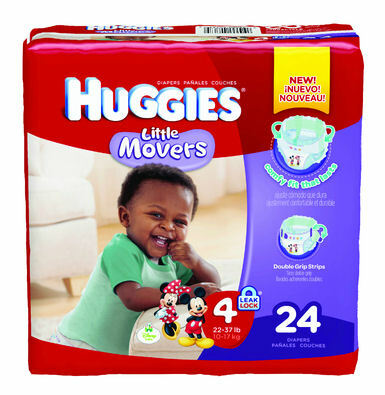 They are giving you a chance to win a year supply of Huggies Little Movers diapers! When you enter, you will automatically receive a $2.00 Target coupon for Huggies diapers. CLICK HERE and upload a photo or video of your baby’s best moves. To enter, you’ll need to create or log into your existing Huggies account. Once you enter you will get your $2 off coupon and be entered to win. There is nothing better than FREE diapers right? !